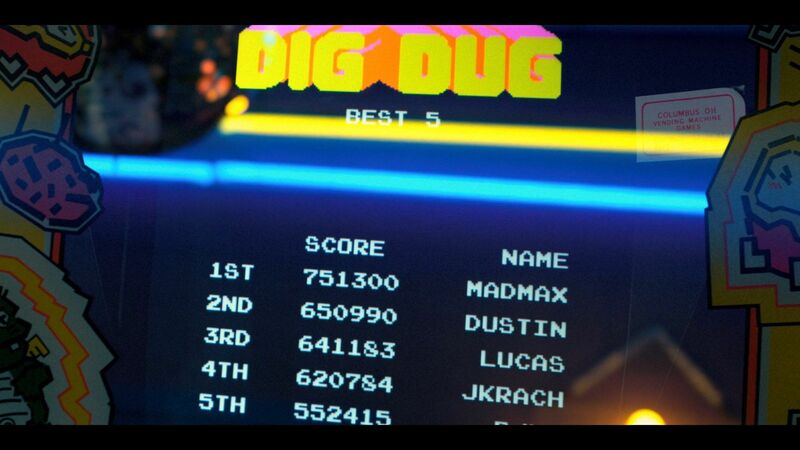 I like to put MADMAX as my initials on Dig Dug. Edited by Master Phruby, Mon Jun 4, 2018 4:36 PM. I used SRD, ym real initals most the time if it was a machine I played alot or it was a machine others played alot to make my mark for braging rights of course. Otherwise I'd just put something dumb like AAA,666,333,FUK,FUC,GOD,ect. , I know, but I was just being a dumb kid. 10 years on I will offer an update to my old post to add that most of the time I use DAD now. My son is very much so into gaming as well so the games we both play I just use DAD for high scores or Daddy for names,ect. if you can enter your full name. Up until my early 20's it was PUP, since then it's been JIN. Stranger Things fakeness... Dig Dug only allows three characters for high score name entry. I've always used 'TOM' for high scores since my name fits. 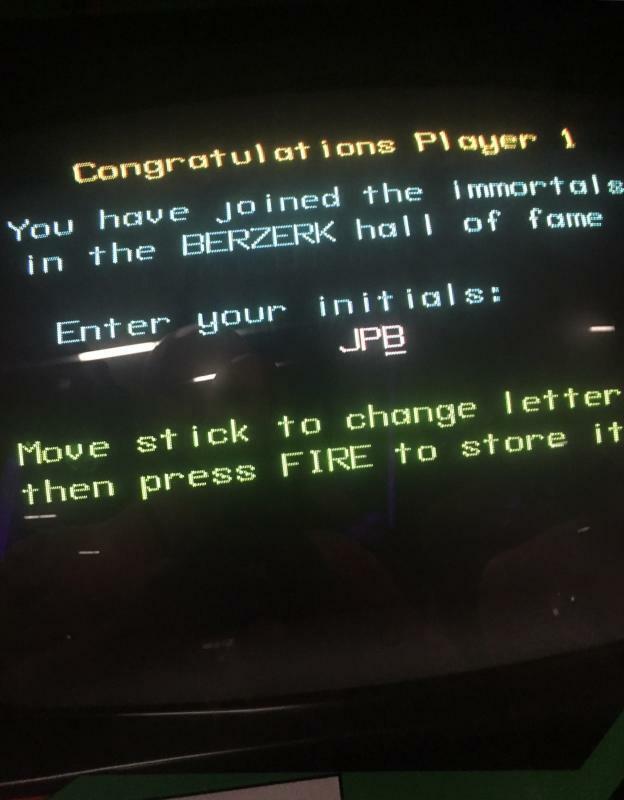 The Star Wars Trilogy machine at Salisbury Beach still has my name at the top of the leaderboard... almost 20 years after setting the score. I watch the high scores scroll by in attract mode every time I visit, hoping the flash memory hasn't failed/been reset, and the score is still there. Played a lot when it was released and scored a near perfect game, with combo multipliers all the way through, and no one has beat the score since. Set the score when the game was new and in the center of the arcade. When I reached the ending there were a few people watching. One guy said 'Dude, you're a f-ing jedi' as I walked away. There was period in the mid 80's I remember using MUT. I was using the moniker MUTANT at that time when I was dabbling in C64 cracking and Demos. So yeah, back when I posted in this topic I was still a cisgender male. But times have changed. In fact, that's why I chose the first and middle names I did, so I could keep my initials the same! *This is not my actual name, but the name of the character I created, and my general online alias. Edited by Lauren Tyler, Wed Jun 13, 2018 2:43 PM. Hi. I tried many combos before I started using ZMN, shorthand for my name. Chuck E Cheese's. These days, , not so much. Don't recall having anything for games with more than three letters. NTM i'm not terribly creative, so i just use my initials. I may have used my initials early on but quickly switched to ZEP and never looked back. Edited by S.BAZ, Wed Aug 22, 2018 1:05 AM. Nothing particularly exciting on the initials front here, but if I had time to kill and money to waste, I used to occasionally enjoy loading up the high score table in order to spell out rude phrases. They usually related to my opinion of somewhere I was stuck in; typically, this meant an airport. I realized I never replied to this.. for me it was easy. The first game I could enter stuff in was Space Invaders Pt. 2 and of course that had much more characters allowed, so I being about 11 years old would always do the predictable standard: *F*** YOU* . Ditto for Moon Cresta, etc. Edited by NE146, Tue Oct 23, 2018 9:28 AM. Bit of a pain if the character selector didn't let you go backward from A straight to Z ... Even more so on those games that gave you a time limit to get your initials in. It was like a mini game all on its own. MMM - it was the first initial in my name and I would usually run out of time trying to put my true initials in, so after that happened a couple times I used MMM and it's been that way ever since. Now you know! W X for Weapon X in the mid 90's, that shortened to X later on, then anymore its my initials; SRV.